I was devastated to hear the news of Kihachiro Kawamoto’s death today. Although I never met him personally, I have been intensively researching his career for quite some time and have come to admire him greatly. The thing that stands out for me the most about Kawamoto was his dedication to his craft as a puppet artist. His career can be roughly divided into two main phases. Up until about the age of 40 he was a puppet craftsman. 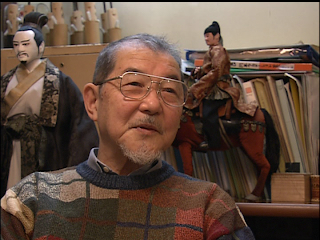 After travelling to Europe to learn the art of puppet animation, Kawamoto blossomed into a true artist. The first half of Kawamoto’s career was led by a fortunate series of circumstances. Although he had long nurtured a passion for dolls and puppets, he did not think that he could earn a living from his hobby and so studied architecture at university. He had been a real eiga shōnen (film buff) as a young man and upon graduating he got himself a job at Toho Studios where he worked as an assistant to the great production designer and art director Takashi Matsuyama (Rashomon , Seven Samurai ). 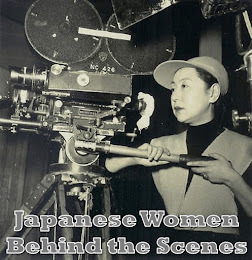 While at Toho, Kawamoto learned a lot about set design and the process of filmmaking; however, his career there was stalled by the Toho Strikes. Even though he officially spent a total of four years at Toho, for at least half of the time he was on strike. 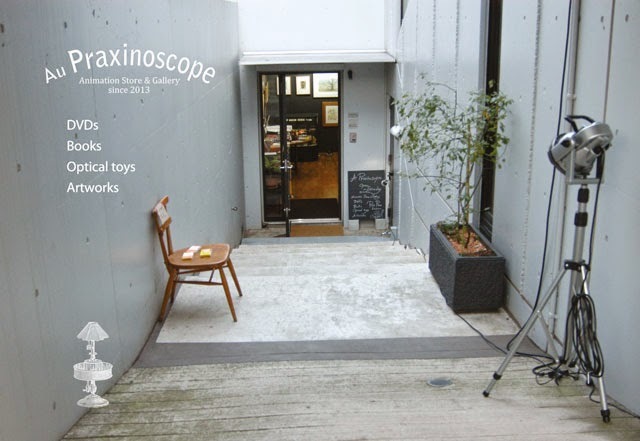 To keep him occupied, Matsuyama arranged for Kawamoto to do some work creating puppets for the magazine Asahigraph. At Asahigraph Kawamoto met the editor, producer, and writer Tadasu Iizawa (1909-1994). 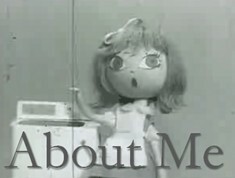 Together with Iizawa and graphic designer Shigeru Hijikata (1915-1986), Kawamoto founded the company Shiba Productions which made puppets animation for television commercials and chlidren’s storybooks. Iizawa did the writing and producing, Hijikata designed the puppets, and Kawamoto made the puppets and did the animation. 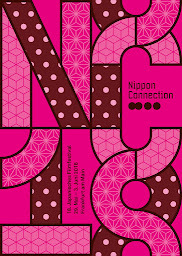 Clients included Asahi Beer, Mitsuwa Soap, Mitsuwa Cider, and Sato Pharmaceutical. It was Iizawa who introduced Kawamoto to the work of Jiri Trnka (1912-1969) in 1951 when he arranged a private screening of The Emperor’s Nightingale . At this point in his life, Kawamoto had been seriously considering giving up puppets altogether and moving onto a different line of work, but seeing Trnka’s animation made Kawamoto realize the greatness one could achieve with animation. 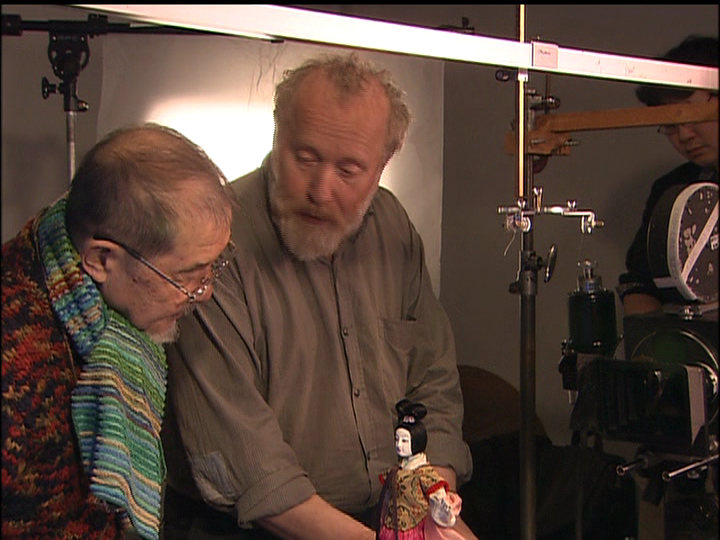 Iizawa was also instrumental in introducing Kawamoto to the puppet animation pioneer Tadahito Mochinaga upon his return from China in 1953. After slogging away for about a decade in commercial puppet animation, Kawamoto woke up one day in his mid-30s to realize that he had not spent any time learning about the techniques of the foreign animators he so admired. So at the age of 38, Kawamoto dramatically shifted directions and began to follow his heart artistically. He contacted Trnka in what was then Czechoslovakia and after a bureaucratic nightmare that I won’t go into here, traveled to the USSR to learn from their puppet studios. His self-funded journey included stops in Poland, Hungary, Bulgaria, Moscow, and Central Asia. Not only did he learn from Trnka, but he was welcomed with open arms at the studio of Bretislav Pojar (b. 1923), and became good friends with Roman Kachanov (1821-1993). When he returned to Japan, Kawamoto had to return to commercial work for a spell in order to recover the funds he had used up during his travels. He eventually got enough money together for his debut independent work Hana-Ori (1968), but after that he never looked back. In Japan he is most famous for his epic television series Romance of the Three Kingdoms (1982-84) and The Tale of Heike (1993-1994), but outside of Japan he made a reputation with his short puppet and cutout animations. 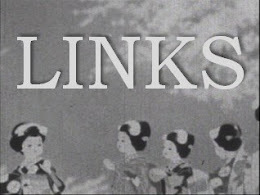 In recent years, Jasper Sharp has put together screening events of is work across the UK and most recently at Shinsedai Cinema Festival in Toronto. While Kawamoto controlled all aspects of the filmmaking process from the storyboards to handcrafting the dolls and sets and directing the shoots, he was also a strong believer in collaboration. In the 1970s he teamed up with Tadanari Okamoto (1932-1990) to promote their puppet animation in a series of joint screening events known as Kawamoto x Okamoto Puppet Animeshow (川本・岡本　パペットアニメーショウ). When Okamoto passed away in the middle of The Restaurant of Many Orders (1991), Kawamoto stepped in to help Reiko Okuyama finish the film. He also participated in David Ehrlich’s collaborative work Animated Self Portaits (1989) and himself organized the collaborative film poem Winter Days (2003) which I reviewed for Midnight Eye. In the Making of documentary for The Book of the Dead (Shisha no sho, 2005), Kawamoto is shown working both with longtime collaborators and mentoring young animators from Tamabi. 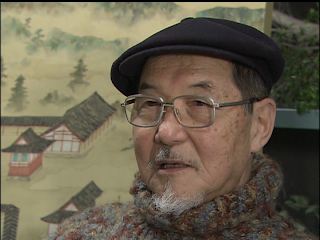 For me, the career of Kihachiro Kawamoto represents an artistic and philosophical journey on the part of the artist. 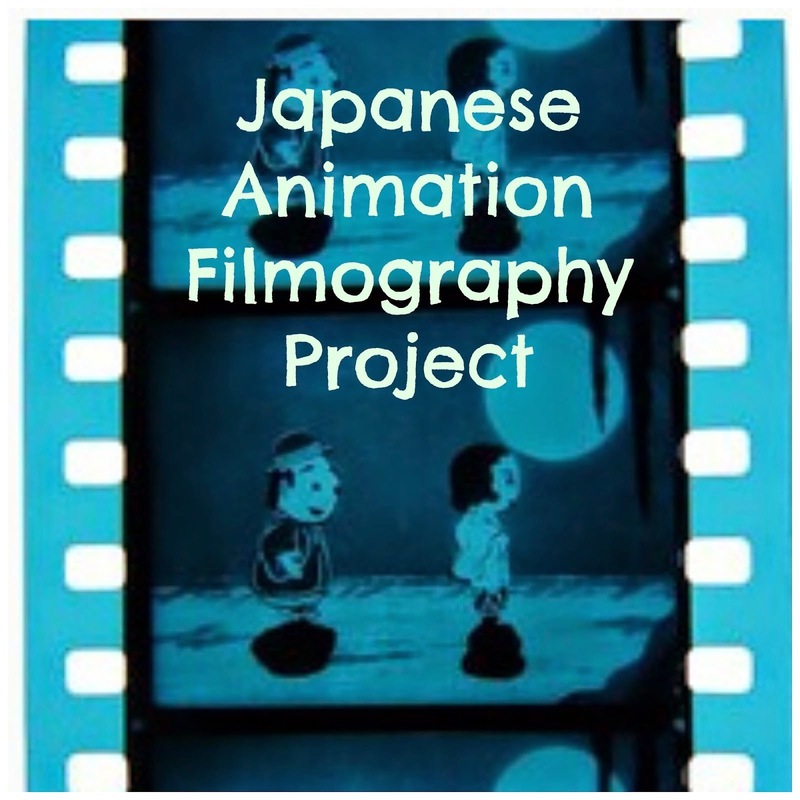 Using both Japanese and Western literature, film, animation and puppet traditions as his muses, each project explores issues related to human suffering. At the pinnacle of this artistic and philosophical journey is The Book of the Dead , a film about the struggle to reach the Buddhist concepts of satori or ‘enlightenment’. Kawamoto’s legacy to future generations of animators is that the artistic process should be this constant quest for knowledge and understanding. 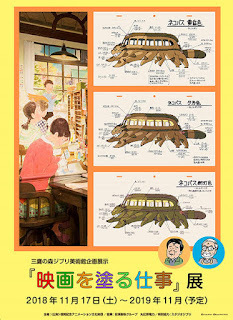 Historical information in this blog post is sourced from Heibonsha’s Kawamoto Kihachiro: Ningyo Kono inochi aru mono (2007) and Takayuki Oguchi’s interview with Kawamoto: Animation Meister at Japan Media Arts Plaza’s website.